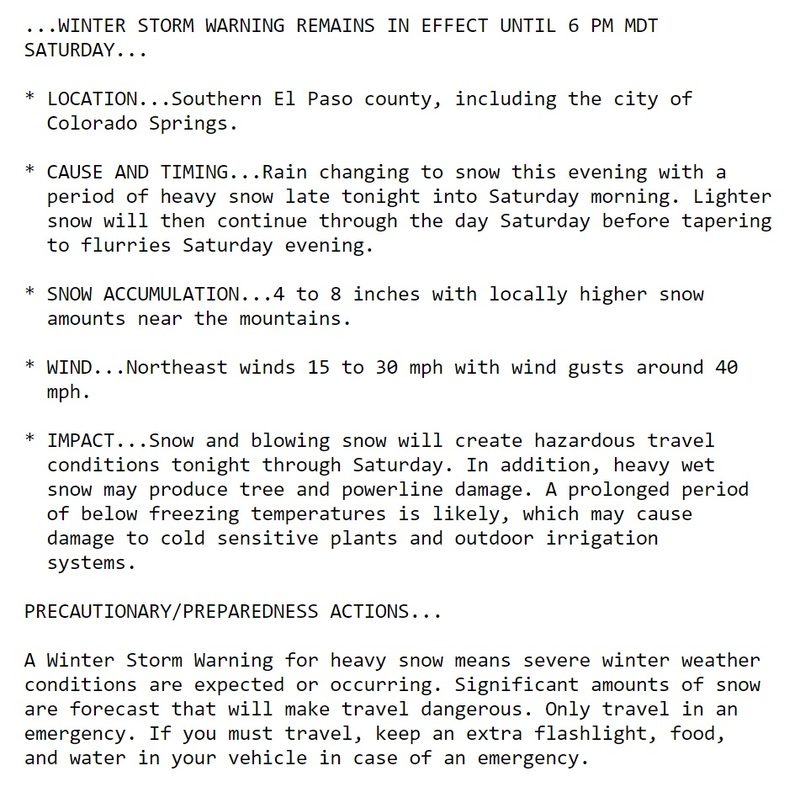 A Winter Storm Warning has been issued from 10:00pm tonight through 6:00pm Saturday. Stay tuned in to local forecast information as the storm progresses. This entry was posted in Uncategorized on April 28, 2017 by tstoeckl.